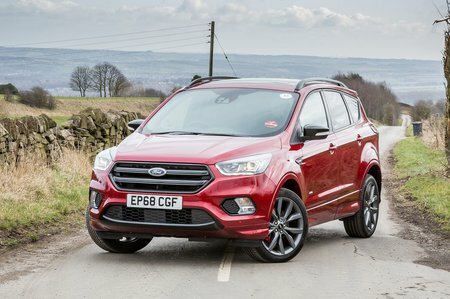 Ford Kuga 2.0 TDCi Zetec [Nav] 5dr Auto 2019 Review | What Car? What Car? will save you at least £2,048, but our approved dealers could save you even more. This is the centre ground of the Kuga line-up – a 148bhp diesel that’s available with a manual or an automatic gearbox and front or four-wheel drive. It's well worth a look; with a manual gearbox and front-wheel drive, it averaged a respectable 43.9mpg in our real-world True MPG test.